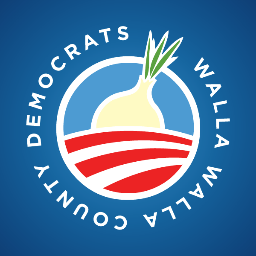 This article was written by Don Schwerin, Chairman of the Ag and Rural Caucus, and edited by Danielle Wilson, Secretary of the Walla Walla County Democrats. On Saturday, March 18th, the Ag and Rural Caucus hosted a policy round table in Ritzville to discuss the agricultural and rural issues facing Eastern Washington. About thirty or so people from 4th, 8th, and 5th CDs gathered for the Ag and Rural Caucus policy circle, joined by the Eastern Washington Committee co-chaired by Susan Silva from Spokane’s 4th LD, and one of the major topics on the agenda was water: surface water, groundwater, and wastewater. The driving theme was the role of water in the economic development of the Columbia Basin. Randy Zielke from Moses Lake and Ken Caylor from Othello provided a glimpse of the Basin in the very early days of the Bureau of Reclamation project. Irrigated farming explains the face of the Basin from Quincy to Pasco. The core agriculture economies of dealers in equipment, chemicals and fertilizers, and service providers in ag consulting, government, finance, and insurance create the fundamentals for the diversified communities that have grown up in the Basin since 1950. Craig Simpson, secretary-manager of the Eastern Columbia Irrigation District, described how the District, Department of Ecology, and Basin farmers have revisited the original project design and repaired the consequences of an early design compromise. Development of the Odessa plateau portion of the original project was postponed and growers were allowed to irrigate with deep-water wells rather than the promised surface water. The unintended mining of groundwater led to sharply declining aquifers. The Odessa Groundwater Replacement Project is a major civil engineering project that moves allocated water from existing users to the Odessa plateau to replace the groundwater sourced irrigation and relieve pressure on the aquifer. While the original Columbia Basin project was wholly engineered, financed, and built by the Federal Bureau of Reclamation, Craig reported that the federal government is nearly absent in the Odessa Groundwater Replacement Project. It is, instead, the product of painstaking negotiations among DOE and the irrigation districts. Final financing of the capital project is revenue bonds secured by grower contracts with the District. In response to a question about completion of the east-high canal, Craig was surprisingly confident that it would be funded in time. He explained that one stumbling block is that the terrain for the east-high means that there is no economic return for the first phases of the project. Several phases need to be completed before the water is available to eligible ground. Rick regards the nitrate problem as less pressing than the effects of long-term reduction of public health funding. State funding for public health has declined 40 percent over the last twenty years. The effect has been a decimation of the capacity of county public health agencies to be proactive in its role of promoting the generalized health of our rural communities. Ken Caylor described Othello’s challenges dealing with waste-water disposal from local food processors, another consequence of an agriculture based economy. Process water from two potato processors is collected and pumped four miles to the east for an irrigation application. Ken does not see this practice to be sustainable. He presented resolution of the processor wastewater as a joint private-public concern. Water infrastructure is fundamental to the economic development of eastern Washington. Partnerships between private and public and across conventional political lines are critical. This was a theme in Rick Dawson’s discussion of nitrate leaching, Craig Simpson’s solutions to the Odessa Aquifer Replacement Project, and Ken Caylor’s emphatic plea for the parties to work together. Public health recurs as an Eastern Washington theme of how we can invest in our human capital, and how we are failing the test. The Ritzville meeting was the first that the Ag and Rural Caucus will organize in Eastern Washington. The good news is that Susan Silva, co-chair of the Eastern Washington Committee, is joining forces with us to multiply our efforts and ensure that we move forward together. Our next meeting will be Yakima. AJ Cooper, Vice Chair of ARC, will organize the meeting. Details to follow.